OLD PARKED CARS. 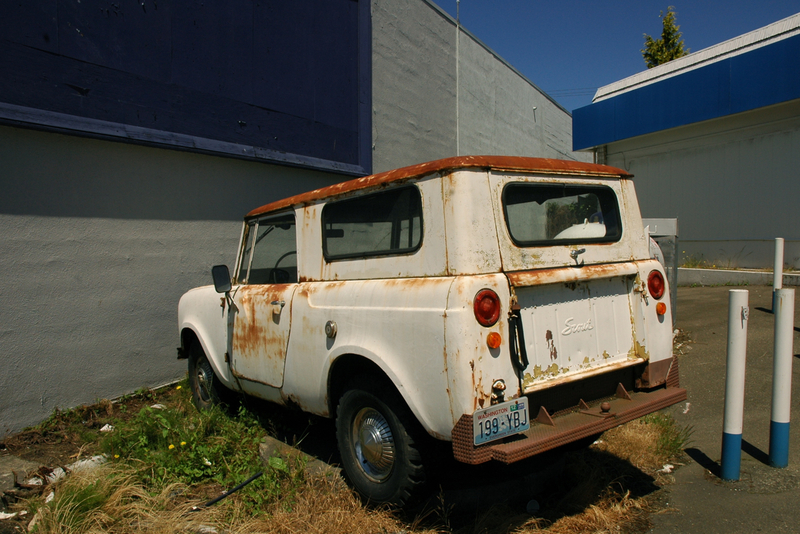 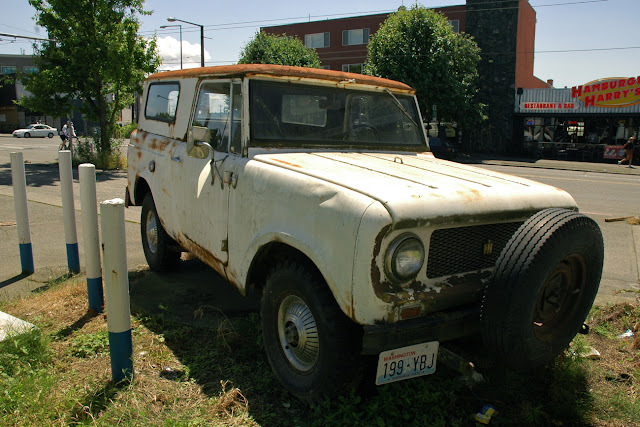 : 1963 International Harvester Scout. Just park it in the ditch full of trash, it'l blend right in. 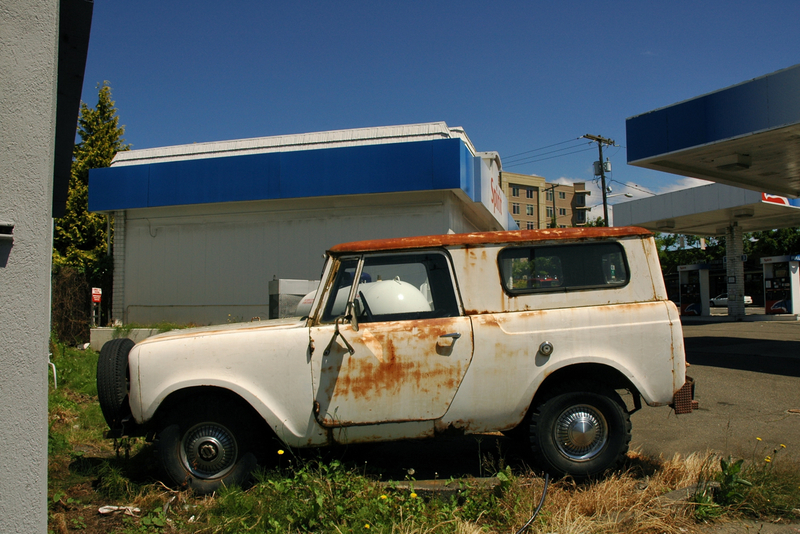 Great lighting-love how the surface rust stands out.